Digital psychology brings together two distinct disciplines from the social sciences; psychology and behavioural economics, and applies their lessons to modern digital marketing challenges, creating a hybrid of the three fields that aims to explain and influence online customer behaviour. If you’re a digital marketing enthusiast (and let’s be honest, if you’re reading this, you probably are), then you might have heard of an exciting new discipline that’s starting to gain traction amongst UX devotees. Digital psychology (also known as web psychology) brings together lessons learnt from the social sciences (primarily behavioural economics and psychology), and applies them to contemporarily digital marketing challenges, often with extraordinary results. The digital psychology approach seeks to understand and explain the ‘why’ behind online user’s activity, rather than the ‘what’ that has traditionally been monitored through tools like Google Analytics. Once a marketer understands the reasons behind their customer’s behaviour, they can begin to implement tools and tactics for influencing them, leading to increases in both customer conversion and retention. “But I already understand my customers” you may be saying to yourself. You see, us humans are pretty peculiar apes. We make all sorts of decisions without thinking things through, and the vast majority of these decisions tend to be heuristic in nature. Heuristic decisions are choices that your unconscious mind makes without consulting the rational, logical part of your brain (the conscious mind). Heuristics provide mental shortcuts that allow us to operate without having to stop and think through every decision, and are an essential component to functioning in everyday life. These heuristics are hardwired into our decision making processes, and through understanding them, canny marketers can predict and influence their customer’s behaviour. Most marketers understand heuristics, if not academically, then at least on an instinctive level. We use TripAdvisor ratings to trigger social proof heuristics (why make up your own mind when others can do it for you? ), create advertising campaigns with actors in white lab coats to trip the authority heuristic, and give away free shampoo samples to activate the reciprocity heuristic (which, incidentally, is why you should never accept flowers from Hare Krishnas in airports). But how do heuristics translate into ecommerce? Surely you can’t use heuristics to persuade your customers to spend more online? Well, it turns out you can, and this course will show you how. 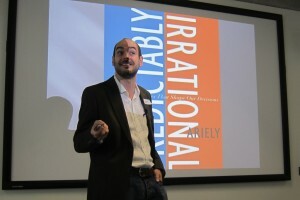 Covering 22 heuristic techniques, this interactive one day workshop will teach you the skills and techniques required to truly understand your customers, and equip you with the tools necessary to influence them online. Introduce students to the concepts of heuristics, cognition amplification, shared evolutionary history and unconscious thinking. It turns out, we’re not all as unique as we think we are! Explore how the use of rigorous scientific methodology, such as hypothesis formulation and rejection, statistical significance and control/variants should be applied to established digital testing (A/B or multivariate) approaches.